love a parade! 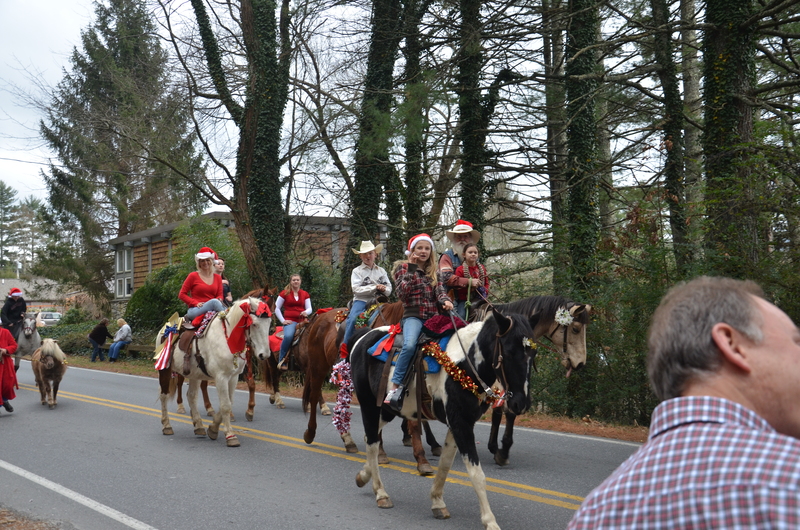 The annual Cashier Christmas Parade was my ‘must see’ for the crisp Saturday morning in the mountains. 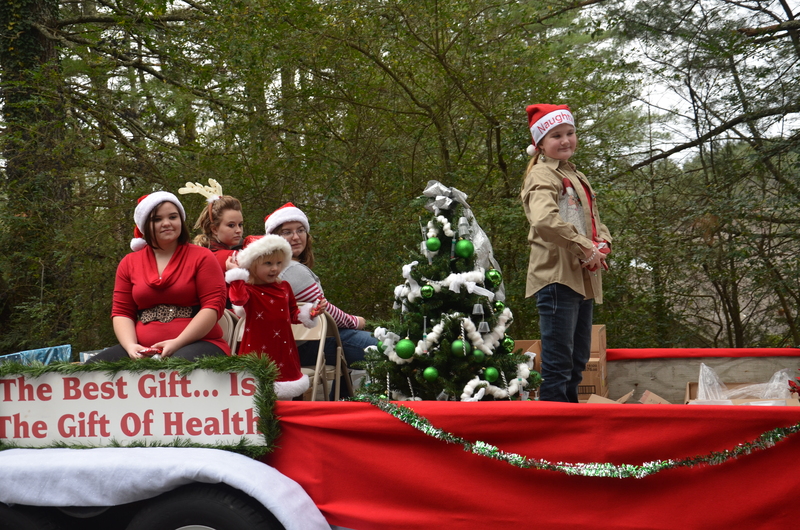 This was my first year to attend the parade, and I was amazed at the number of participants. The entries included everything from Fire Trucks to the Teacher of the Year. 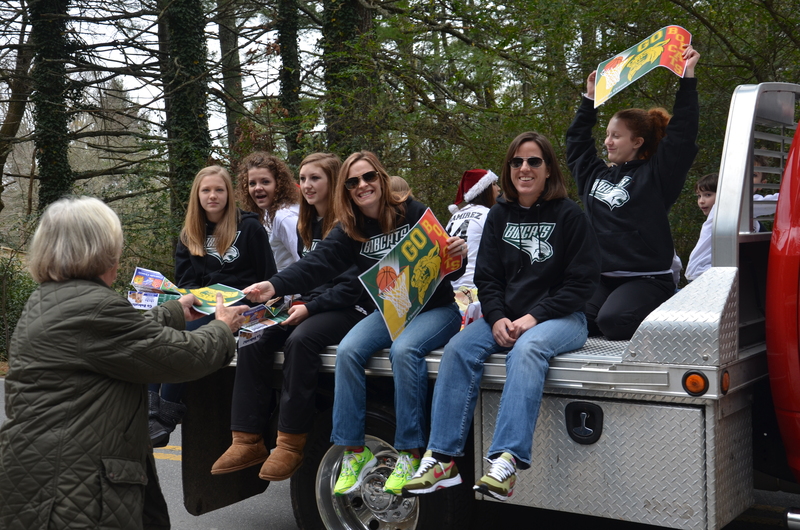 Everyone within 30 miles of Cashiers was in attendance … or in the parade. 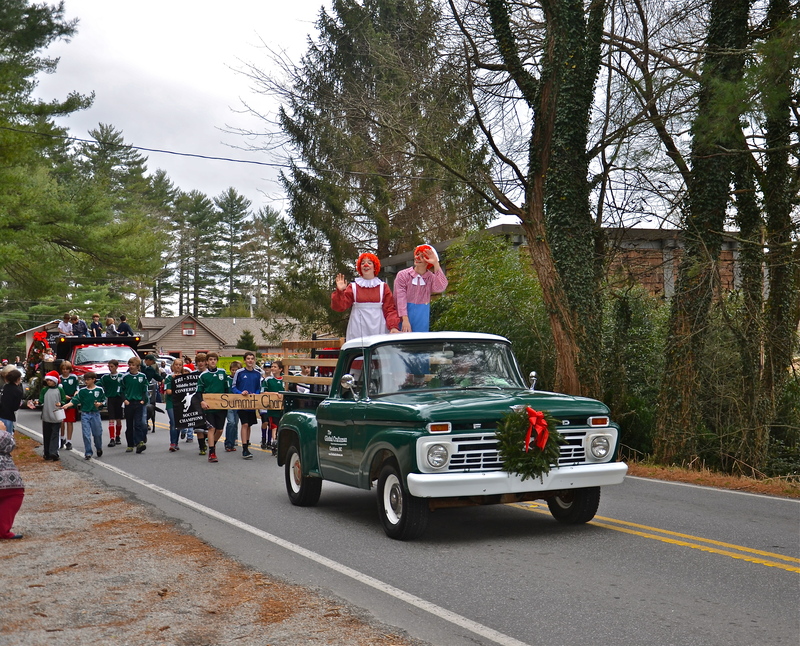 The town’s enthusiasm was contagious and Christmas was definitely in the air. I just love this town! 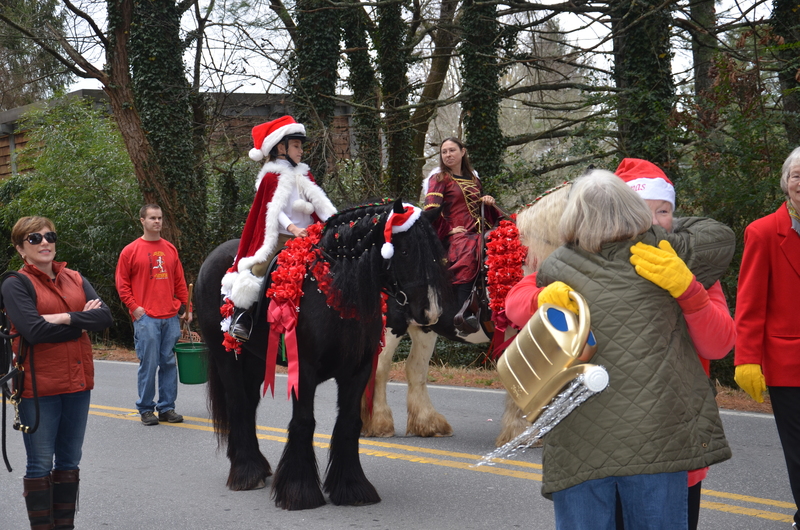 The Annual Christmas parade in Cashiers, North Carolina is quite a spectacle! Summit Charter School was there. 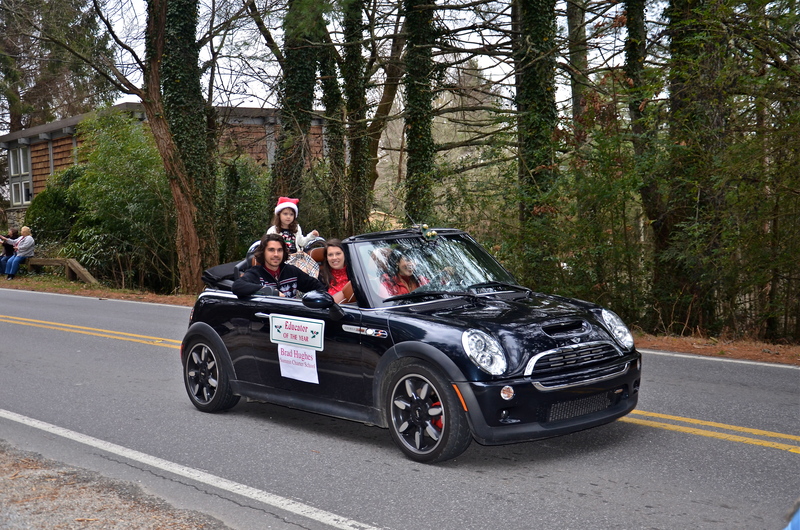 The Teacher of the Year rode in a convertible Mini. 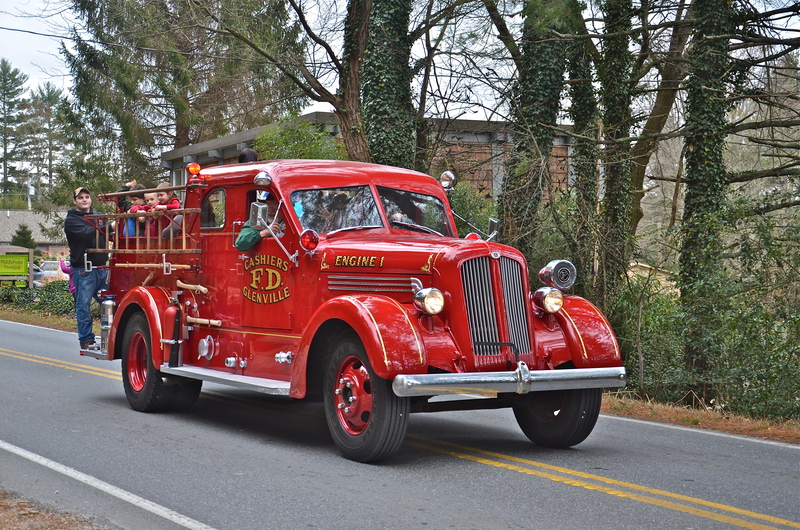 There were antique Fire Trucks. 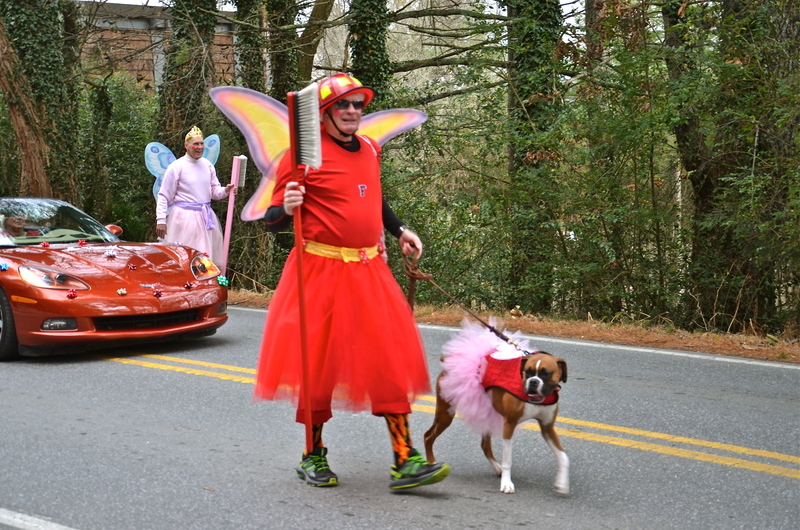 The Tooth Fairy made an appearance with his dog. Red Antique Cars were parading down the highway. 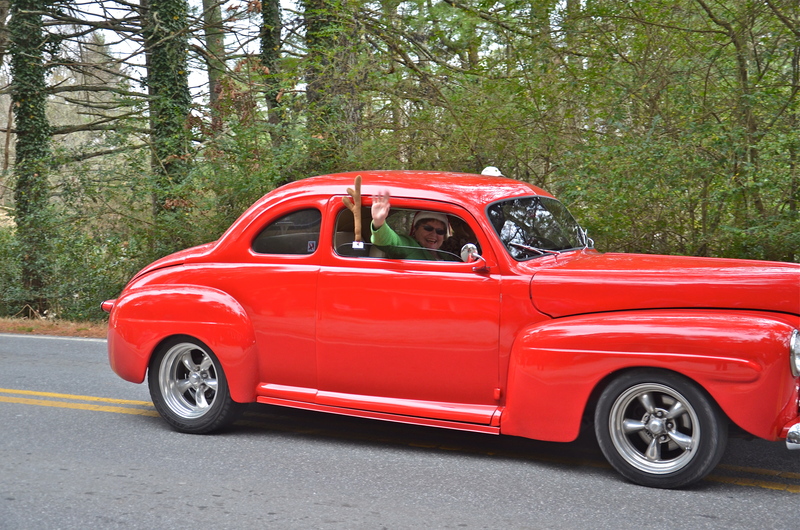 And more Antique cars decorated for the Season. 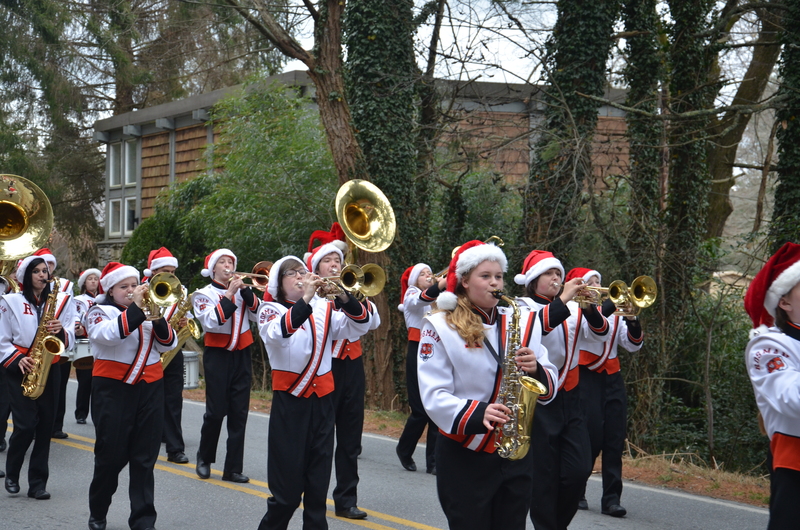 Marching Bands played Christmas selections. And beautiful horses for decorating. Wonder if Martha Stewart has tried this? 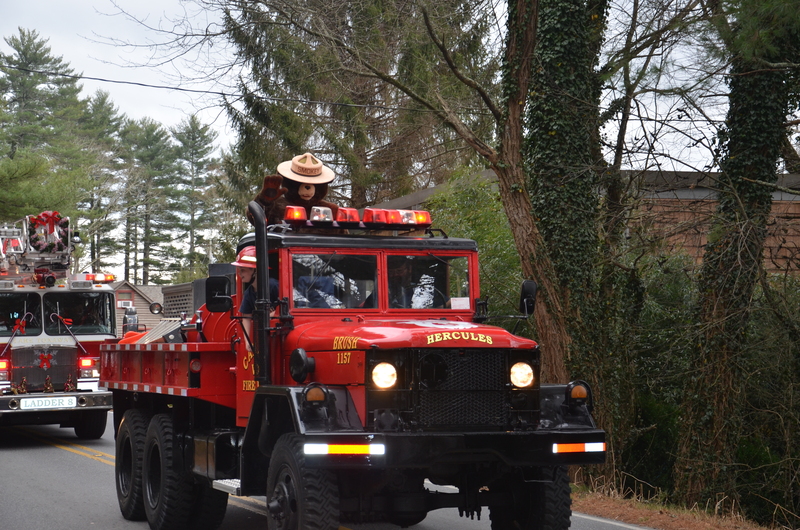 Smokey the Bear made a special appearance, too. 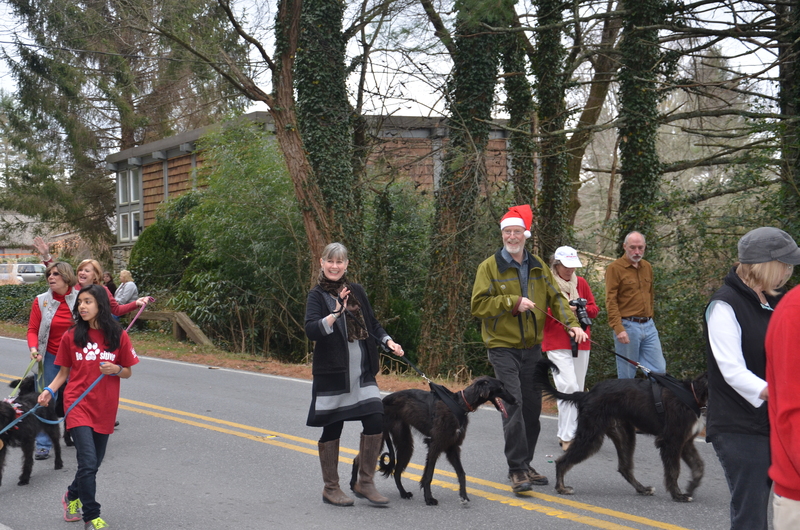 Marching dogs represented the Highlands–Cashiers Humane Society. Cashiers newly elected U.S. 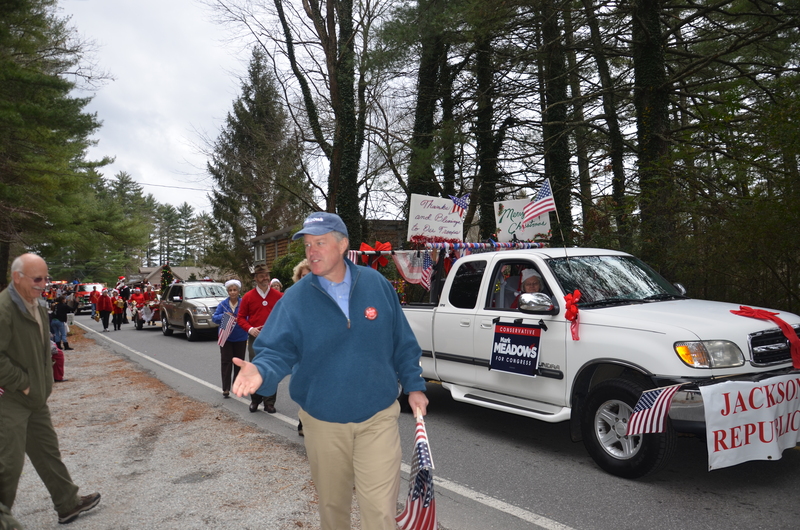 Congressman Mark Meadows was there. 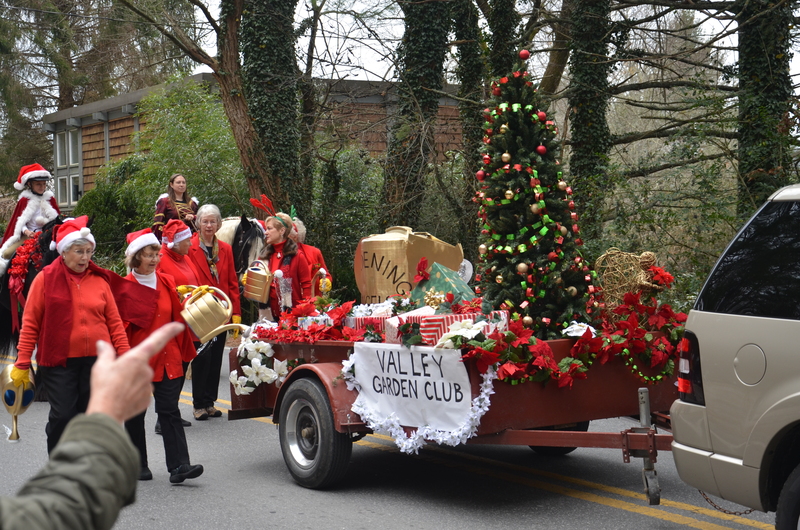 The local Garden Club was tending the Christmas Tree. There were Bobcat sightings–Lady Bobcats that is! 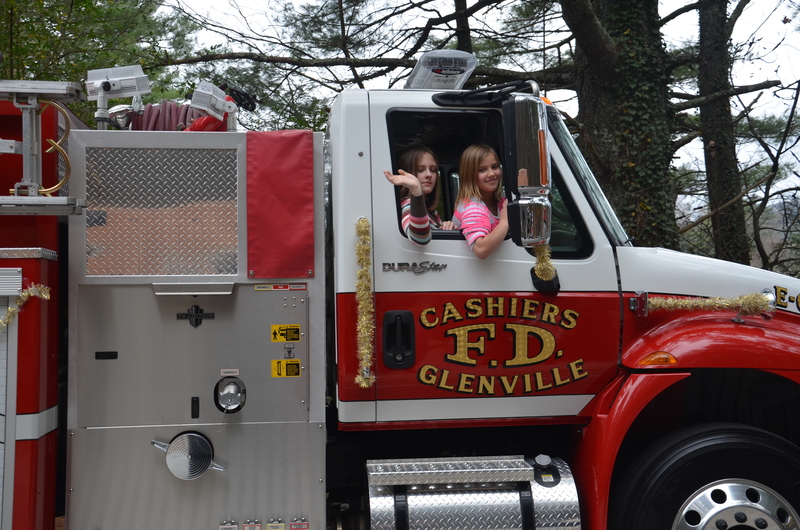 Christmas Cuties rode in even more Fire Trucks. 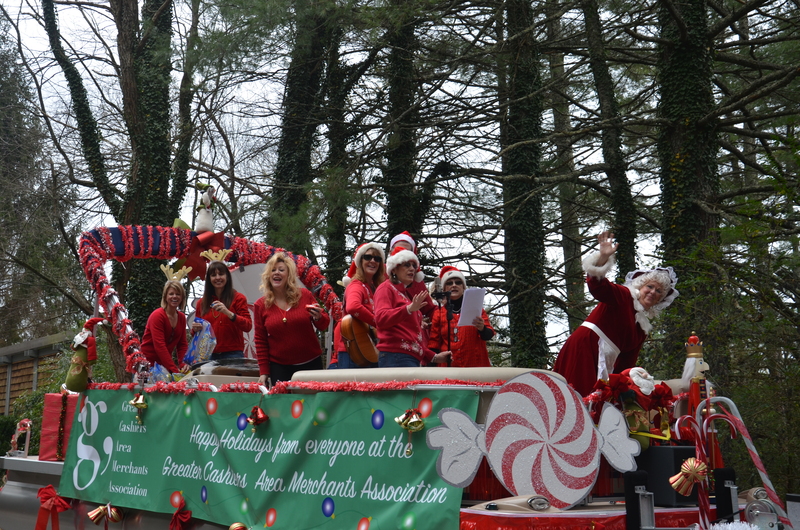 Santa’s elves from the Chamber of Commerce made a special appearance. 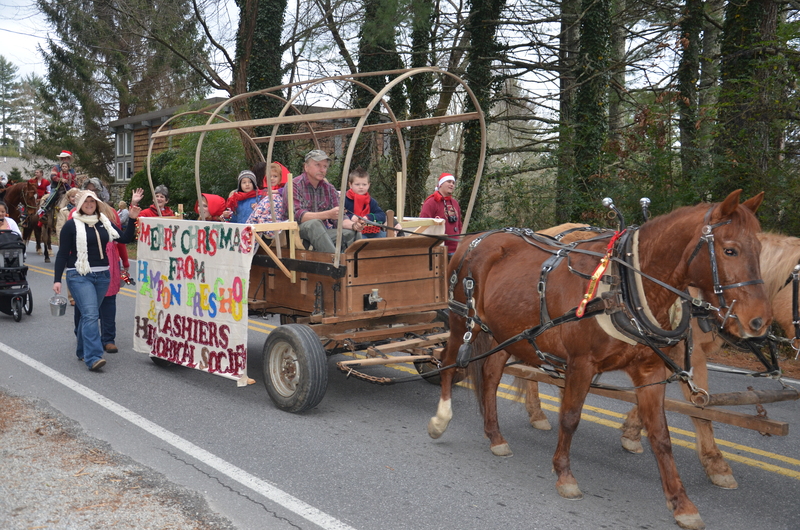 Cashiers’ Volunteer of the Year volunteered to ride in the Christmas parade. More Christmas elves were riding with ‘Little Naughty’–where is Nice? Oh, there is ‘Little Miss Nice’ riding with the singing Angels! 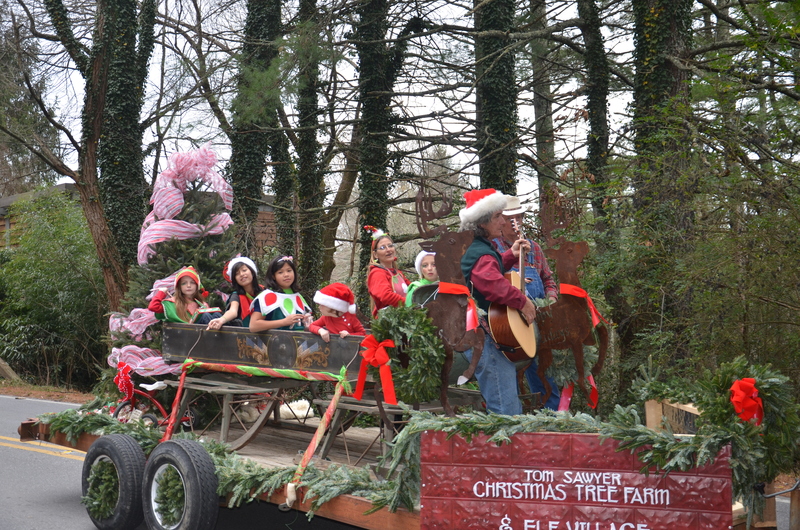 The elves from Tom Sawyer’s Christmas Tree Farm were helping with all the trees. 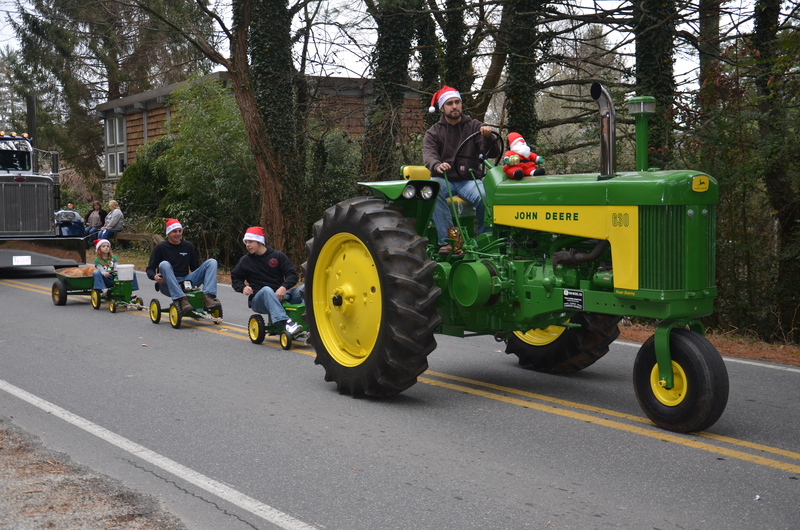 Tractors were pulling tractors … and more tractors, with a Golden Retriever in the Caboose. 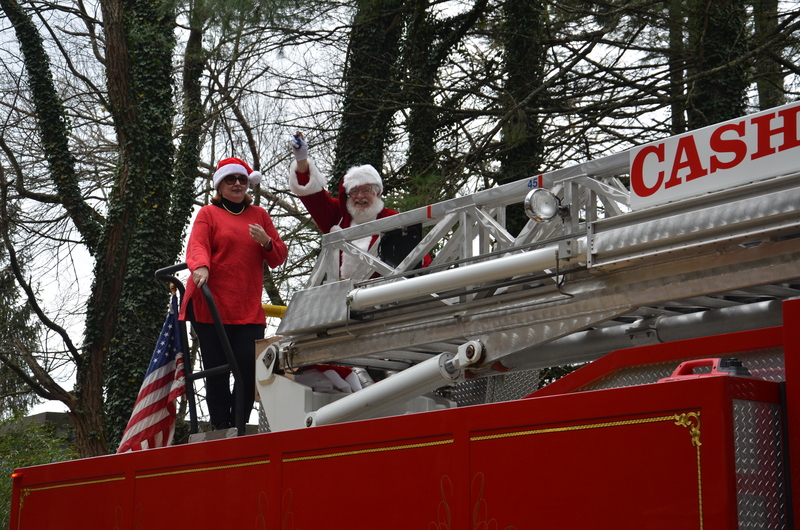 The Season is officially here with the arrival of Santa on yet another Fire Truck! 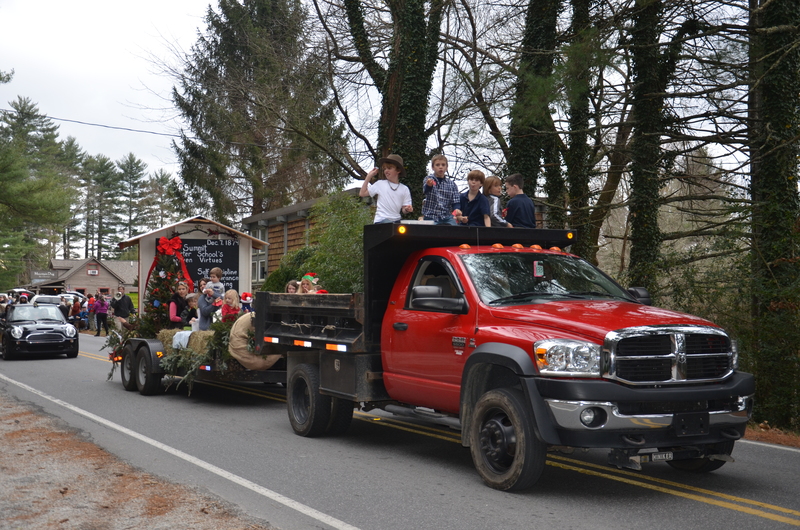 Christmas is popping up everywhere in the North Carolina mountains. golden traveling in the wheel barrel was great. thanks for the great pictures. Nancy, I have pics of all—just had to edit 113 pictures! I liked the parade also. It was fun! Cathy, It was much longer than I thought it would be. Next year I will bring coffee and snacks. That parade looks like so much fun. Cashiers looks like such a wonderful place! Cindy, It is a wonderful small town. What fun! I’m putting it on my calendar for next year!!! 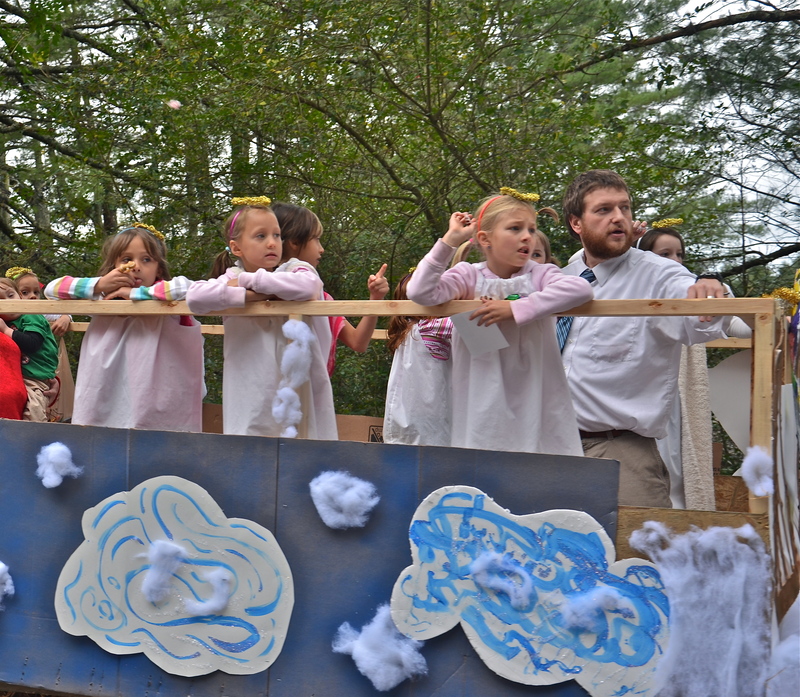 Jeremy, It is a really long parade. They also gave candy to all of the children. It was a wonderful day! You need to make a visit. When can I come for a visit? I’m ready to catch the spirit. Any time! The sooner the better. Thank you Madelein-hope you enjoy the renovation. 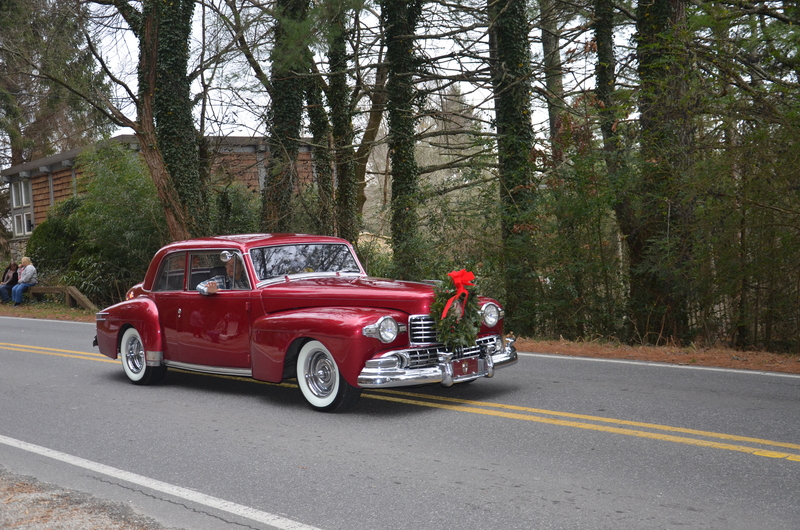 Really liked what you had to say in your post, Christmas in Cashiers | lissyparker.com, thanks for the good read!